Warning: This is an important and powerful document. Do not sign this document without talking with a lawyer. Signing a translation of this document in a languages other than English will probably not be considered legally effective, but we provide the translation to help people understand what the document says. 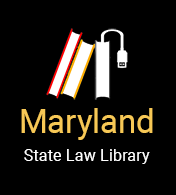 Maryland Code, Estates and Trusts, § 17–203. PDF version of the form. This power of attorney authorizes another person (your agent) to make decisions concerning your property for you (the principal). You need not give to your agent all the authorities listed below and may give the agent only those limited powers that you specifically indicate. This power of attorney gives your agent the right to make limited decisions for you. You should very carefully weigh your decision as to what powers you give your agent. Your agent will be able to make decisions and act with respect to your property (including your money) whether or not you are able to act for yourself. If you choose to make a grant of limited authority, you should check the boxes that identify the specific authorization you choose to give your agent. Your agent is not entitled to compensation unless you indicate otherwise in the special instructions of this power of attorney. If you indicate that your agent is to receive compensation, your agent is entitled to reasonable compensation or compensation as specified in the Special Instructions. This form provides for designation of one agent. If you wish to name more than one agent you may name a coagent in the Special Instructions. Coagents are required to act together unanimously unless you specify otherwise in the Special Instructions. If your agent is unavailable or unwilling to act for you, your power of attorney will end unless you have named a successor agent. You may also name a second successor agent. This section of the form provides for designation of one agent. If you wish to name coagents, skip this section and use the next section (“Designation of Coagents”). This section of the form provides for designation of two or more coagents. Coagents are required to act together unanimously unless you otherwise provide in this form. (10) Do lawful acts with respect to the subject and all property related to the subject. in our presence to be his/her power of attorney. We, in his/her presence and at his/her request, and in the presence of each other, have attested to the same and have signed our names as attesting witnesses. (5) Attempt to preserve the principal’s estate plan if you know the plan and preserving the plan is consistent with the principal’s best interest. The meaning of the authority granted to you is defined in the Maryland Power of Attorney Act, Title 17 of the Estates and Trusts Article. If you violate the Maryland Power of Attorney Act, Title 17 of the Estates and Trusts Article, or act outside the authority granted, you may be liable for any damages caused by your violation.